Vedika Exports NATURAL COLOR Afro Tight Curly Hair Extensions, Pack Size: 8-30 Inch. 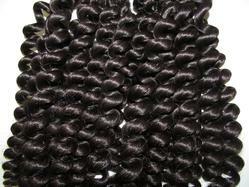 Having vast industrial knowledge, we are offering a quality assured assortment of Natural Curly Hair. 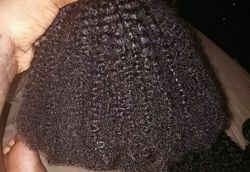 The Natural Curly Hair we offer is widely demanded for its availability in various sizes. These products are widely demanded amongst the clients for its wide use.